are two unlikely lovers on a mystical journey that opens all doors. Woven into the silken threads of this 17th century kimono are an eccentric shogun, his ruthless samurai, and an inscrutable zen monk. A common fisherman and poet, Arashi is a racially mixed orphan who embarks on a life-altering inner journey. Brazenly disdainful of the samurai ruling class, he scorns the rules. With an intellect that parallels her beauty and elegance, the shogun's daughter, Lady Michiko, becomes an Ambassador to China; rebellious by nature, she enjoys breaking the rules. Ruthless and ambitious Lord Masakado is the irascible shogun who makes the rules. Psychotic and lethal, General Shigemori is the samurai who executes the rules. Kato-san is the zen monk with a not-so-zen past who guides Arashi to awakening. He lives the rules of natural law and consciousness. I haven't been this captivated by a book since "The Mists of Avalon" or as inspired since Richard Bach's "Illusions." – Vivian Greene, Motivational Speaker, Creator of Kisses Cartoons. With passion and rich detail, Susan Scharfman has written an epic novel spanning two continents, and a life altering inner journey. 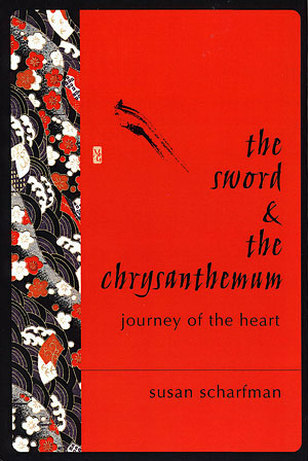 "The characters give a passionate look at 17th century Chinese and Japanese cultures. All classes from Shogun to monks to peasants are repesented in a flowing story that would make a great movie. The mysticism added even more to the plot." – Bonnie Rabert, St Simons Island, GA, U.S.